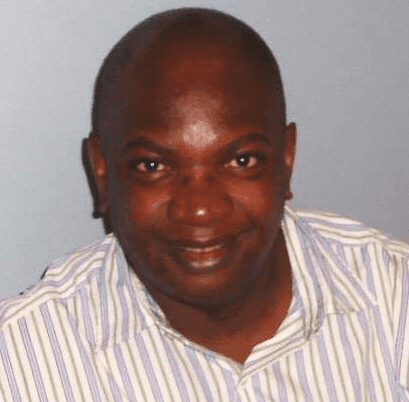 Angus Adigun joined Parallels a few weeks ago after spending the past decade at both VMware and Citrix. With his extensive knowledge of application delivery and virtualization, he will be a strong point of reference for customers and resellers using our technology, helping them achieve the best results for their businesses. We sat down for an interview with Angus to better understand his motives for joining the Parallels team and his vision for Parallels business products: Parallels® Remote Application Server, Parallels Desktop® for Mac Business Edition, and Parallels® Mac Management for Microsoft® SCCM. Why did you join Parallels? I’ve been a part of the virtual cloud computing (VCC) industry since 2004, when I first joined VMware. I liked the industry and found the technology to be very engaging. They are efficient technologies that get the job done securely while increasing worker productivity—truly innovative. But unfortunately, with VMware Horizon and Citrix XenApp, it’s expensive to the point that it sometimes ends up crippling IT budgets more than it helps them. After I had joined Citrix, I got to know of a new competitive product on the market, Parallels RAS—an application and desktop delivery solution that offers the same versatility at a fraction of the cost. Because of its lower price point, Parallels RAS allows organizations to get all the advantages of VCC without sacrificing large amounts of their budgets. After some more research into the product, I found out that it offers solid performance that is consistent across any OS and device, providing IT teams with needed flexibility. Parallels RAS can also be integrated with all major hypervisors, Microsoft RDS, and can be deployed on private, hybrid, or public cloud systems. I decided to join the Parallels team to continue supporting customers to easily access virtual workspaces and being able to manage Mac computers like PCs. How do you see Parallels RAS future in the market? As a cost effective, secure, and cloud-ready application and desktop virtualization solution, Parallels RAS can enable organizations to quickly embrace VCC without complexity and without immobilizing large amounts of budget. With Parallels RAS, I can already see how we can provide IT service providers with a profitable and fast way to answer customers’ demands of SaaS and DaaS. The WannaCry attack a few weeks ago has shown us how vulnerable traditional local desktop-based infrastructure is against cybercrime. Following this event, businesses are looking closer at VCC models as a way of securing their corporate data and applications. Parallels RAS reinforces company data policies, identifying employees’ access against Active Directory using granular filtering by IP, by device, by Mac address, and more. On top of this, it supports two-factor and smart card authentication. How do you see Parallels RAS comparing to Citrix XenApp and VMware Horizon? Parallels RAS offers a great value, unmatched ease of use and brilliant performance on iOS and Android. Beyond this, it offers an out-of-the-box High Availability Load Balancer (HALB) for server and gateways, printing redirection, and a reporting tool. Parallels RAS is an incredibly scalable solution, capable of integrating with all major hypervisors supporting Windows Server 2003R2 onwards. I genuinely believe that Parallels RAS is a solution that offers more value for businesses with less than 5,000 employees compared to both Citrix XenApp and VMware Horizon. This is especially true because on top of the low entry price, there are no sunk or hidden costs related to complex configuration, professional services, and certification. To further lower the Parallels RAS TCO, Parallels offers free training to our customers and channel partners. How do you think Parallels can help Apple customers enjoy Windows technology? With the increasing amount of Apple® devices in companies, it is important that customers still have access to Windows apps. Apple devices should also be managed by the IT admins. A lot of customers only manage PCs but forget about the management of the Mac devices in the company. Parallels Desktop for Mac Business Edition and Parallels Mac Management for Microsoft SCCM fill a gap on the market, giving customers the opportunity to enjoy Windows technology on their Apple devices and to manage Mac devices like PCs without having to learn a new technology. Over the next five years, what opportunities do you think there will be for IT resellers? With the consumerization of IT, multi-device adoption, and increasing mobility, I do think that we are entering a period of greater awareness on cross-platform opportunities. I think cloud solutions and cloud integration will keep growing in importance as companies will move to VCC to provide access to their business applications from any device, reduce IT overheads, and increase data security. Therefore, solutions that can integrate with Amazon Web Services and Microsoft Azure will continue to be successful. The migration that businesses are having from a workstation-based environment to a more mobile one is also important for the channel industry, as resellers and MSPs will be able to create recurring revenue streams by capitalizing on this opportunity and offering companies a way of using line-of-business resources on their mobile devices. From your experience, do you have any advice for anyone looking to make it in this sector? Listen to people’s needs. The VCC industry is extremely dynamic, evolving with modern working conditions. So if you have fun with it, keep an ear to the ground and move from trend to trend and extract what you can from every single one, you will end up with a product or offering that is tailored to meet the needs of many, guaranteeing your success. For further information about our business products please feel free to contact Angus and our sales team.